I am convinced that Fizzy is the poster child for spoiled rotten. He has had a great Christmas. He’s gotten lots of nice new tack to wear, and he looks so handsome in it. He got a new german martingale, a new work bridle, a new show bridle, and new bits. I just wanted to share a few pictures of him wearing his new things. I don’t yet have pictures of him in all of the things, so I will update this post later with pictures of him wearing all of his new things. 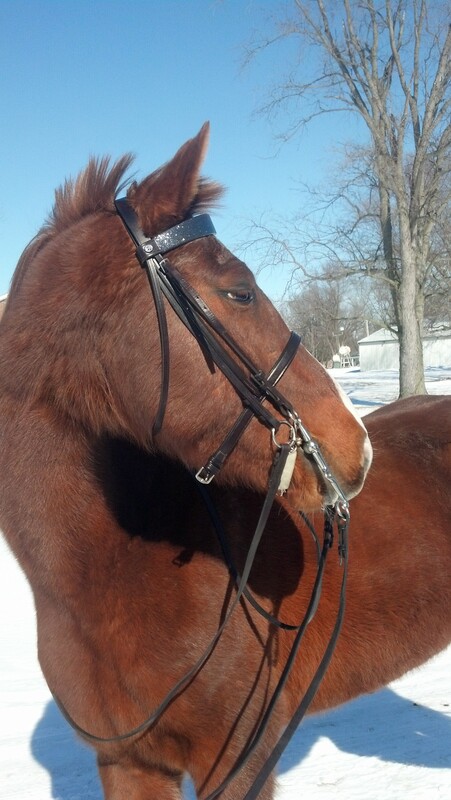 So, here is Fiz modeling his new work bridle and then below that, his new show bridle and show bits. Excuse the poor picture quality, they came off my cell phone. Even though he looks like a wooly mammoth instead of a refined saddlebred, you can still see that he sports his new gear quite well! ← To be AOT, or not to be?